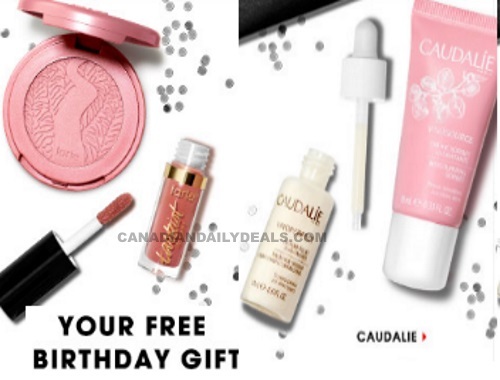 The new year is here which means a brand new Sephora Free Birthday Gift! This year, choose from either a set from Tarte (blush and liquid lipstick) or a Caudalie skincare set (serum and moisturizer). There's also a men's gift version this year, online only, you can get a Jack Black duo moisturizer and cleanser. To get your gift just stop in at any Sephora store during the month of your birthday and ask for the gift at the till, there is absolutely no purchase required you can just get this gift alonw. There is also the option to add the item to your cart for free online (but a purchase is required to ship the order). This offer is available to Sephora Beauty Insiders, which is a free loyalty membership, your birthday month will be on file.